HOME / Tech Spotlights / FAQ / Who is Seco/Warwick Group? Additionally agents and representatives are active worldwide geographically and/or in our customers industries to promote our products and help the sale of our equipment. The business segments are allocated in team structure around the globe and share production sites and administrative services. The teams at the various locations are led by the global operating business segments vice presidents directly. This allows a very lean and effective structure with the ease of business processes like customer care, technology transfer and continuous product improvement. The scope of the business segments covers a wide range of heat treatment furnaces, thermal processing equipment and auxiliary products. SECO/WARWICK takes pride in our ability to supply both standard and customized solutions plus special units for challenging applications into the world of heat treatment and thermal processing industries. The business segment VAC ( Vacuum Furnaces ) provides advanced, energy-efficient and environmentally friendly vacuum heat treatment equipment with guaranteed process technology. These vacuum furnaces are applied for annealing, brazing, sintering, gas (HPGQ) and oil quenching, vacuum carburizing and nitriding (LPC & LPN) and other processes. They are operated in: aerospace, power generation, tools & dies, medical, machine and automotive industries, in commercial and in-house heat treatment plants, for both: single batch and mass production. The furnaces are available in any configuration of workload (horizontal and vertical), working space’s sizes, technical parameters, options and auxiliary equipment. Furthermore, they can be manufactured as a standard design or to suit specific customer’s demands, such as CVD equipment, vacuum forging equipment and other individual applications. The business segment AP ( Aluminum Processes ) offers advanced products, allowing for reduction of cycle times, energy consumptions and cooling rates improvement. Our Furnaces are applied for wide range of processes like melting and holding, preheat processes, homogenizing, annealing solution heat treat and artificial aging. The five basic product subgroups include coil/foil annealing, solution heat treatment & ageing, log & slab homogenizing, ingot heating, melting & holding furnace systems. They are operated in: aviation, automotive and machine, power, metallurgy and other aluminum industries, for single batch and mass production. Furnaces with control and material handling system are offered in configurations to suit every type of production including walking beam furnaces, roller hearth furnaces, tower furnaces, drop bottom furnaces, pusher furnaces, pit furnaces, batch systems with cold and hot cars. With our experience, we are the single source for all your aluminum process furnace system needs and we guarantee the best performance of our equipment. The business segment ATM ( Atmosphere Furnaces ) equipment is built for heat treatment processes like thermo-chemical processes (carburizing, nitriding and others), microstructural changing processes (hardening, annealing, tempering), special processes (spherodizing annealing e.g.). Depending on the parts, loads, lots, the productivity and the process the equipment types offered are batch furnaces (chamber, pit, tip-up, bell, bogie hearth), semi-continuous furnaces (multi-chamber furnaces, automated linked process lines), continuous furnaces (belt, pusher, walking beam, roller, rotary hearth, rotary retort), auxiliary systems (washers, quench tanks, cooling chambers, hoppers, feeders, conveyors, load storages, feeding systems of any type). SECO/WARWICK supplies sophisticated controls, cabinets and probes for simulation, monitoring, recording, in-situ & in time control of processes and the appropriate alarming systems and interactive automation. All industries, which require heat treatment and thermo-process installations, are served by the business segment ATM. As a partner of the steel production industry ATM supplies large size equipment such as lamination furnaces, forging preheating furnaces and hydrogen bell annealing furnaces. The business segment CAB ( Controlled Atmosphere Brazin g) supplies controlled Atmosphere Brazing (CAB) equipment, using a noncorrosive flux. This is the preferred process for manufacturing aluminum heat exchangers in automotive branch. Recently prevalence of CAB increases by industrial, power plant and HVAC applications. Since entering this field in 1983, SECO/WARWICK has led the development of advanced technology in the continuous flow brazing process. We offer optimal solutions for all types of industrial heat exchangers manufactured in long-run, medium-run or individual short run production. A fully configured CAB furnace system includes thermal degreaser, a fluxer unit, a dry off oven, and the CAB furnace. Furnace designs available to produce a variety of parts in large or small volume production runs are production lines based on radiation (CAB R) furnaces, convection/radiation (CAB CR) furnaces and convection (CAB C) furnaces for continuous operation, Active Only® semi-continuous systems for short-run and individual production, and chamber furnaces with vacuum purging for heat exchanger prototypes as R&D purposes. The business segment RETECH/VME (Vacuum Melting equipment) supplies as the global leader in the supply of vacuum metallurgical processing equipment from laboratory scale to large custom engineered systems. Our advanced process technologies include Plasma Arc and Electron Beam Cold Hearth Melting, Vacuum Induction Melting and Vacuum Arc Remelting used for melting, refining, atomizing of casting reactive and refractory metals, super-alloys as well as rare earth metals. Typical equipment delivered by this business segment is Vacuum Induction Melting and Casting (VIM), Vacuum Arc Remelting (VAR), Plasma Arc Melting (PAM), Electron Beam (EB)´, PACT™ – Environmental Waste Treatment and Powder Production Equipment (VIM). SECO/WARWICK and its five business segments combine a broad expertise and experience. Our customers have this at their disposal and have been using this excellence in various specially demanding and challenging tailored application projects. This created a number of special production equipment know-how (fire testing chambers, clean room equipment, vacuum forges, thermal process production lines, thermochemical production and surface treatment equipment): windscreen bowing production, special pre-heaters and dryers, chemical vapor depositing (CVD) equipment, incinerators for thermal disposal and utilization for different wastes types, post-incineration units for gases and many more. SECO/WARWICK naturally supplies spare parts and all related services to SECO/WARWICK installations in the field. 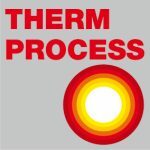 Due to our long market presence, the expertise of our designers and field engineers in equipment/processes, our flexible approach to problems and finally plus most important due to the demand of our customers, we extended the aftermarket service to other heat treatment and thermo-process equipment. Our spare parts stocks hold frequent used brand-independent spares and our service engineers are specialized in process optimization, repairing, maintaining and refurbishing own and other than SECO/WARWICK equipment, too. As a special service we are able to supply manufactured retrofit components and to maintain/ to rebuild equipment with discontinued OEM service. 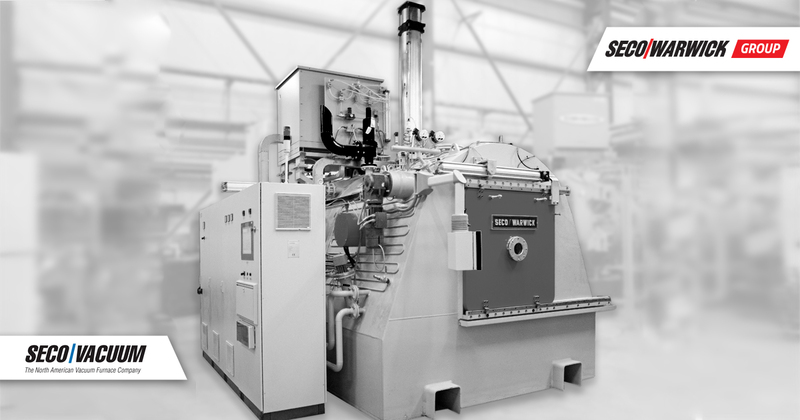 SECO/WARWICK is the worldwide and local partner for your business in heat treatment and thermo-process equipment. With modern technologies, innovativeness and adaptation to new and lean industrial process philosophies our products provide our customers with the competitive edge for their own production processes. Our success in the markets is due to long term market presence, the continuous successful cooperation with global leaders in modern industries, well developed in-house R&D-activities plus cooperation with external R&D facilities/academic centers, continuous development of the expertise of our employees and our flexible approach to our customers and their individual requirements.